William Penn Brave Cigars are our latest cigar brand to review. 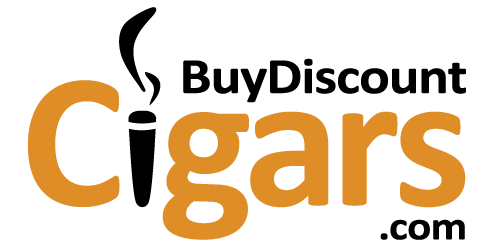 If you have been smoking cigars for some time, you have probably seen this brand around for a long time, and often that is a good thing. I have not smoked them before, but decided to order them from www.buydiscountcigars.com and to finally give them a shot. The box of William Penn Brave Cigars comes with 10 packs of 5, in a very vintage looking cigar box. The 5 packs are boring and bland packaging wise, but the main box is fantastic. A simple ebay search reveals that their boxes over the years are highly collectable, and with such a gorgeous vintage look, it is no wonder at all. As for the specs, The William Penn Brave Cigars are 4.625 inches long, have a ring size of 29, and consist of an all-natural wrapper. As always, I received my order lightning fast from www.buydiscountcigars.com. I ordered on a Tuesday morning, and they were on my doorstep on Friday! I love this fast shipping, and this is one of the biggest reasons I always order from this site. Sure, I might be able to save a buck or two if I shop around, but then I often have to wait weeks to get my cigars, no thank you! 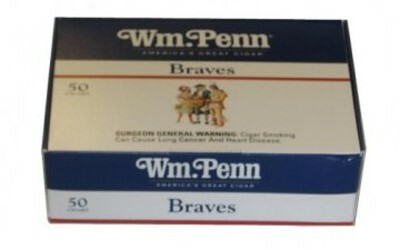 As for the cigars themselves, the William Penn Braves are every bit as classic and vintage in flavor and styling as the box itself. A mild but unassuming cigar, I would not call it super premium or out of this world, but they are certainly far better than many of the value brands I have tried. So, I would say it is a mid-level cigar as far as overall quality, with a good uniform wrapper, good smoking characteristics, and a stand-up flavor that is pleasant and classic.